There has never been a better time to be on a gluten-free diet, especially if you are in the hunt for gluten-free pancake recipes. Gone are the days of having recipes that yielded pancakes that looked like hockey pucks and tasted only marginally better. The health food movement has spread across the world like wildfire; and as a result, gluten-free individuals no longer have difficulty finding delicious, healthy, and easy recipes. When it comes to taking on the challenge of making best breakfast possible, gluten-free pancakes are an absolute staple! No matter what your overall meal idea is, you will want it to involve pancakes if you don’t want to embarrass yourself in your own kitchen (or worse, someone else’s). If you’ve found yourself stuck with a lack of inspiration regarding gluten-free pancakes, you’ve come to the right place. 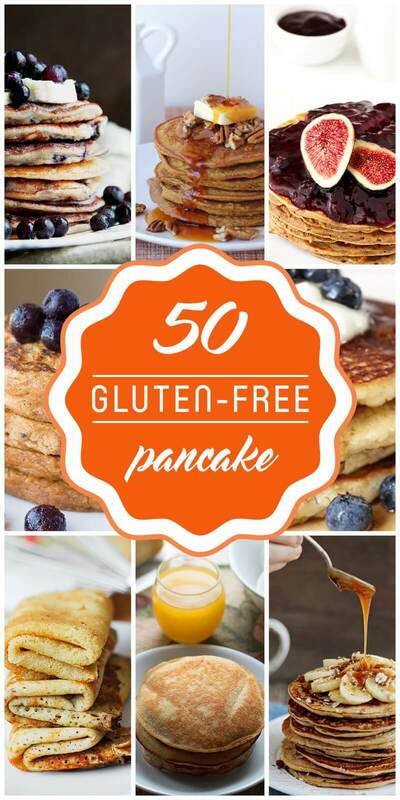 Consider this list your ultimate source for the best pancake recipes in the gluten-free food world! The first gluten-free pancake recipe puts a fresh spin on an old classic. 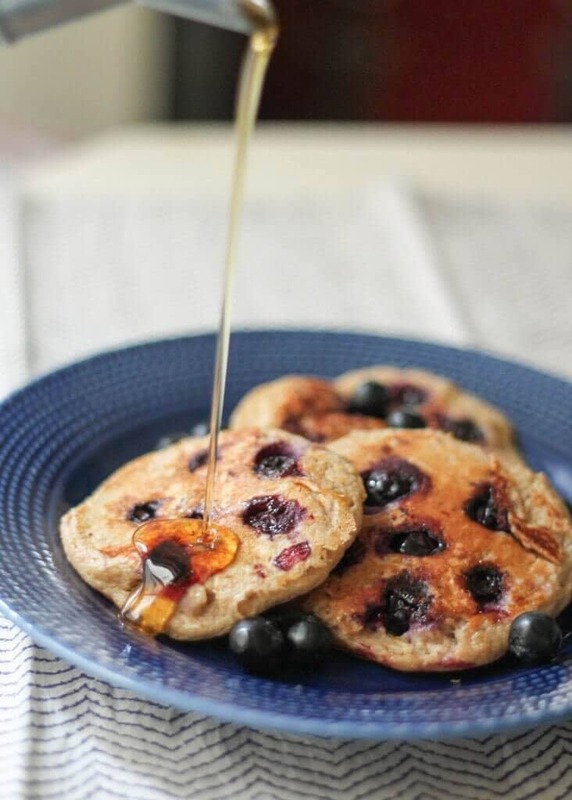 Pancakes and blueberries are a combination that rivals butter and jelly. This easy recipe is perfect for someone short on time or ingredients. Aside from the blueberries, the bulk of this recipe is made up of banana, oats and yogurt. The end result is a plate of tasty mini-pancakes that are sure to become an instant favorite for everyone you share them with! Almond flour is a popular substitute for traditional wheat flour. 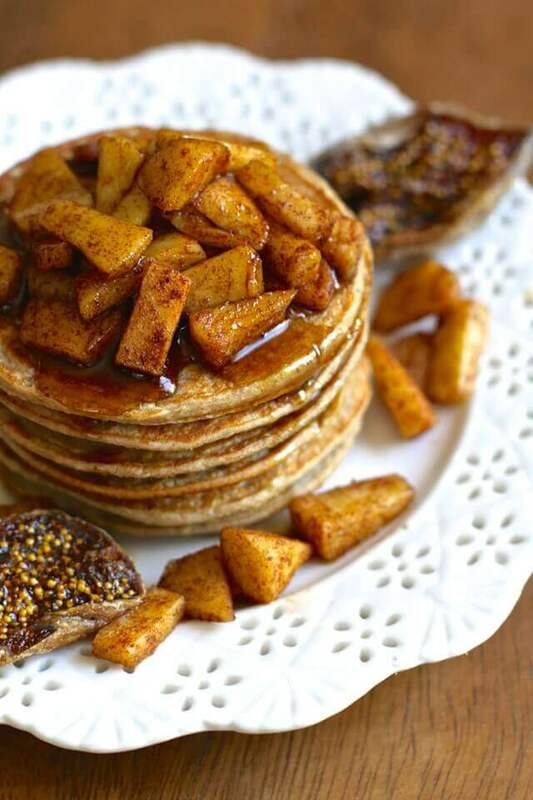 These delicious pancakes will fly under the taste-bud radar of any unsuspecting gluten eater. 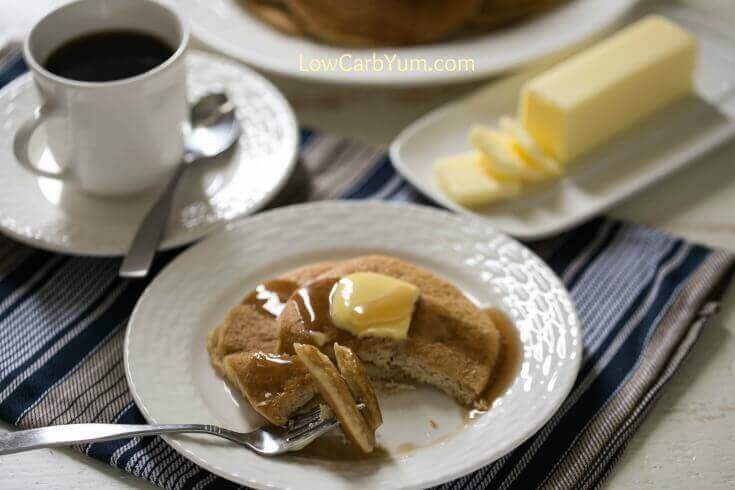 Aside from tasting like their wheat-filled cousins, these pancakes are also very low in carbohydrates; making them an excellent choice when looking for a healthy pancake idea. Additionally, when left to sit for about 15, the almond flour batter will become significantly fluffier. There is no question that these pancakes are a wonderful introduction for someone who is curious about trying a gluten-free diet. There are times when the craving for pancakes is stifled by the curse of laziness. Sometimes you just want to enjoy your breakfast without turning your kitchen into a war zone. Moments like these are usually followed with thoughts of going out to eat. However, if you can refrain from the urge to go to a restaurant, you will be in for a real treat! This two-ingredient gluten-free recipe is could not be simpler. It requires only eggs and bananas and is ready to eat within minutes. Although this is an extremely easy recipe, there is also plenty of room for personal creativity, making it a fantastic breakfast meal idea! Continuing on with our trend of simplicity, we have another easy recipe for pancakes that will rob little of your time or kitchen supplies. The key difference in this recipe is the inclusion of baking powder. This small tweak will make for a fluffier pancake compared to the previous recipe, which will make pancakes that end up closer to crepes. Much like the 2 ingredient recipe above, there is a world of freedom to create a final product that is unique to you! The holidays always bring a high demand for seasonal treats. 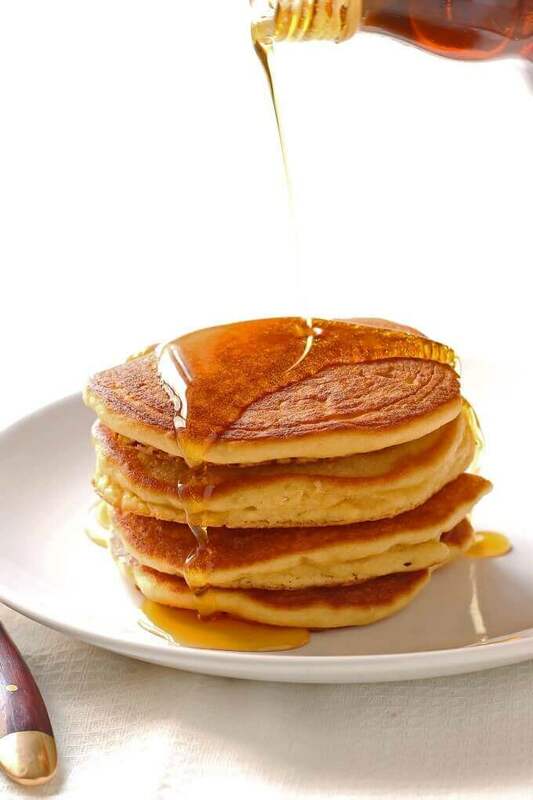 As the leaves begin to change color, so too does the color of our pancakes. The pumpkin craze takes off each year in early October and finds its way into just about every recipe that involves sweets. Gluten-free pancakes are no exception. This recipe is particularly special given that it also contains ginger, another holiday favorite. These pancakes also include optional protein powder for those who have specific macro nutrient needs. 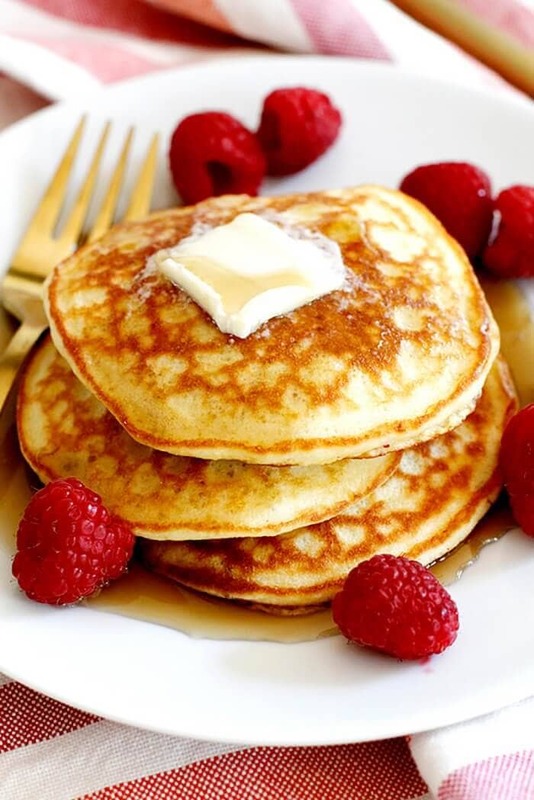 These are sure to be some of the fluffiest, most mouthwatering pancakes you will have; making them one of the best gluten-free pancake recipes you can choose this holiday season. We are moving to the other end of the flavor spectrum with this savory gluten-free pancake recipe. These are perfect for breakfast, lunch dinner, or even as a side to a larger meal idea. Like most of the recipes on this list, you can put your own personal spin on these in order to make them extra special. For example, instead of pancakes, they can be used as patties for vegan burgers. Regardless of what you choose to do with this recipe, you will surely be satisfied with the result. 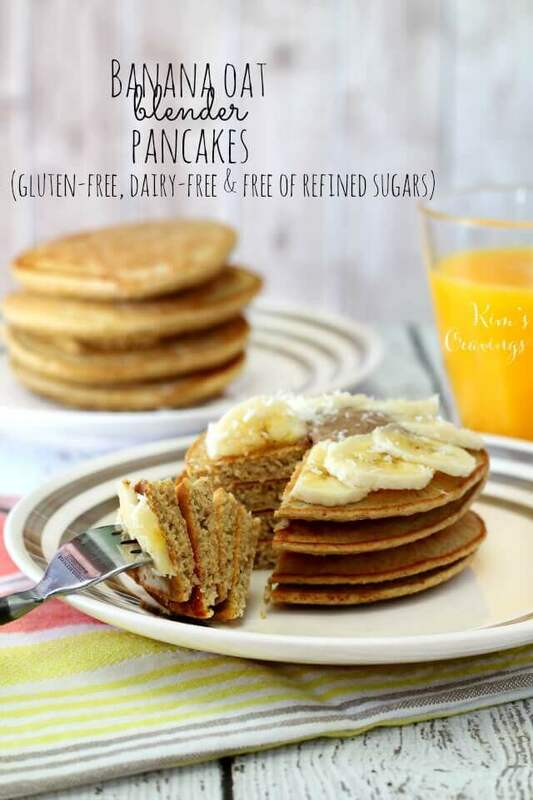 This is a wonderful example of a gluten-free pancake recipe that will send your taste buds on a roller coaster ride that you will never want to end! 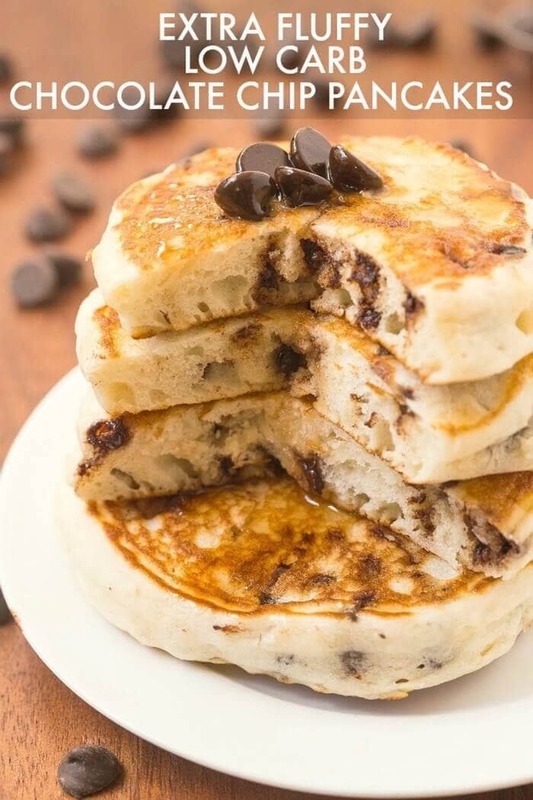 These decadent pancakes are topped with chocolate chips and a banana nut sauce; a refreshing defiance to traditional pancakes. They’re quick to whip up; and because the batter is mixed in your blender, your kitchen cleanup will be just as fast! What’s more, the recipe makes a single serving, so you can keep them all to yourself without feeling guilty. Coconut flour is a dominant alternative to wheat flour, and for good reason. On top of being a gluten-free food, it is also low in carbohydrates and has the slightest hint of coconut taste. These pancakes will end up a little smaller than regular pancakes, but what they lack in size they make up for in flavor and fluffiness! Top with berries and maple syrup for a truly magical breakfast. After your first bite, they will undoubtedly end up at the top of your gluten-free recipe list! When the thought of pancakes alone doesn’t satisfy your sweet-tooth itch, you know it’s time to get creative with your pancake ideas! Luckily, this is one of the best pancake recipes you will find when regular pancakes just won’t cut it. If the cinnamon swirl filling doesn’t win you (and your guests) over, then perhaps the warm cream cheese glaze will do the trick. 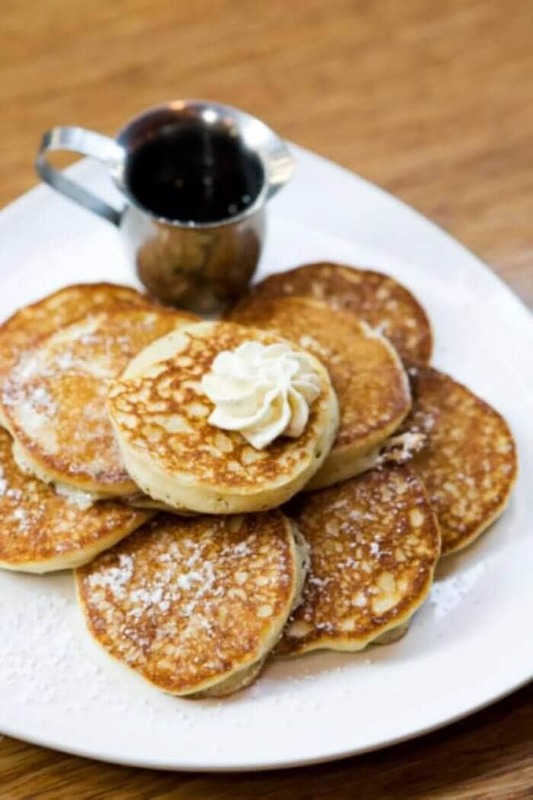 Regardless of what makes you loves these pancakes, you will surely find yourself fantasizing about them the next time you’re craving a breakfast experience on the sweet side. Most people think *sweet* when they hear the word pancake. However, there is no reason to limit yourself when on a gluten-free diet. 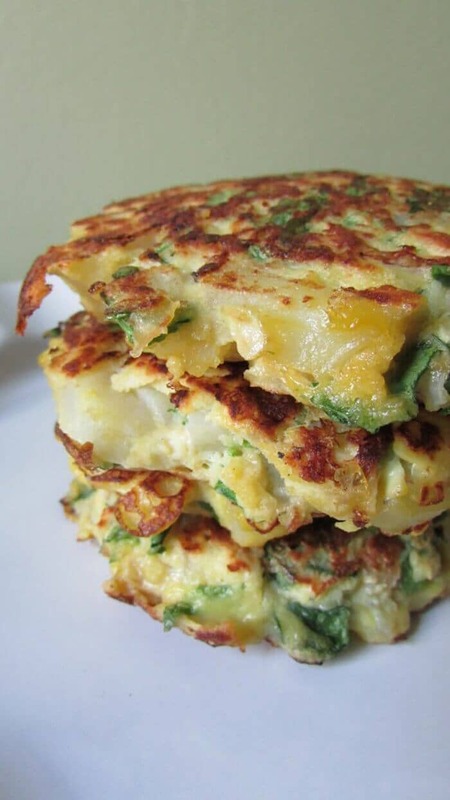 Cauliflower has proved itself to be a versatile, healthy alternative to many flour based meals. Simply boiling the florets for a short time will soften them and allow them to achieve a dough-like consistency. 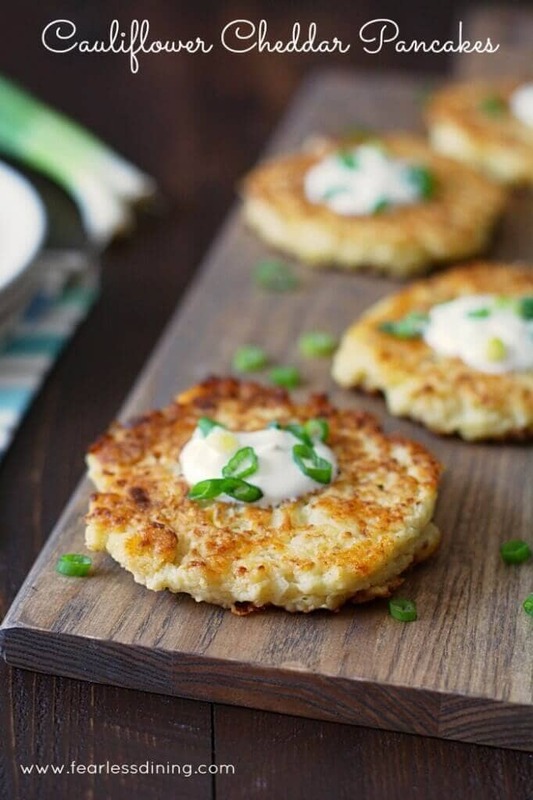 This gluten-free recipe provides you with some sensational miniature fritters that will complement nearly any meal, or stand alone as a delicious appetizer. They will make an excellent snack on game day or a savory side to a main course. Paleo and gluten-free foods go together like pancakes and syrup. You can’t have one without the other. So naturally this paleo recipe will find it’s way into your cookbook. Almond meal, coconut flour and baking soda are the secrets behind these thick, robust pancakes. The banana brings out a magnificent natural sweetness that will complement any berries you choose to put inside or on top. 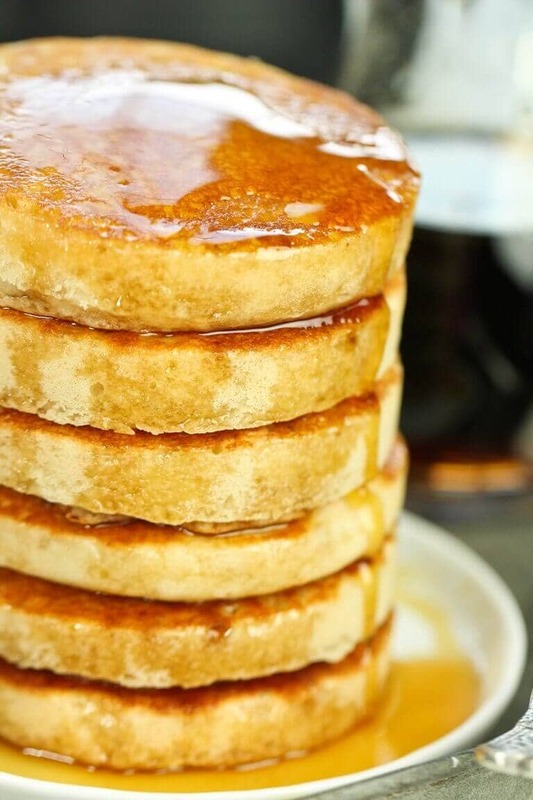 Once you’ve got your stack piled high, a bit of maple syrup or even honey will complete the meal. Returning back to a beautifully simple pancake idea, we have another coconut flour recipe. When shooting for the best pancake on a gluten-free diet, one aspect that can not be overlooked is fluffiness. There are hundreds of recipes out there that boast about being gluten-free but fail to capture what’s most important about pancakes. That’s why this recipe made this list. On top of the already praised coconut flour is tapioca flour, the true magic behind this recipe! The two together are responsible for soft, airy pancake that will remain at the top of your list for a long time. Up next we have a healthy meal idea that will draw you in with it’s simplicity. The struggle of working in the kitchen to make a delicious meal that also improves your well being is one that is often underappreciated. Fortunately, these pancakes provide both while also keeping your wallet from shrinking. Falling in love with these pancakes will not be a difficult feat. The oat and banana come together to create a supremely fluffy pancake that is flavorful enough on it’s own. 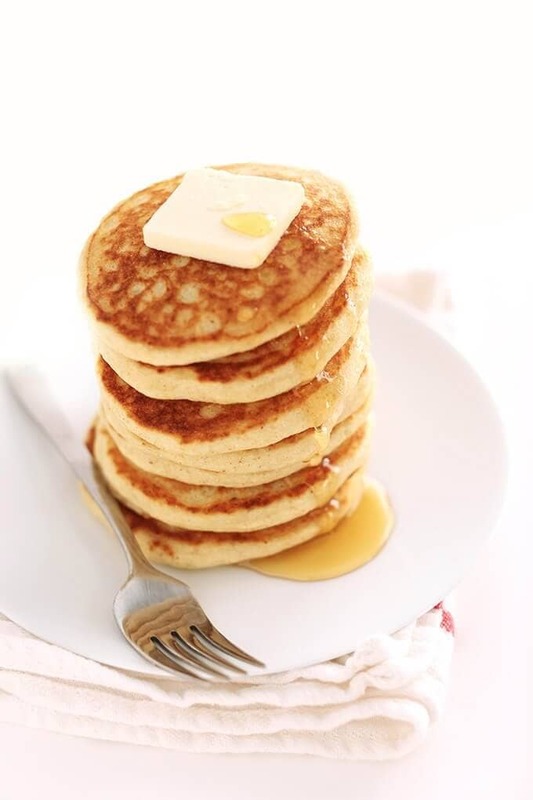 However, adding a bit of maple syrup and butter to the top of your stack will really make them come alive! No, you’re not experiencing deja vu. Sometimes you just can’t be forced to pick one banana oat pancake idea. This gluten-free recipe slides even closer to the health-food side of the spectrum with both dairy-free and gluten-free stamps of approval. Like the before it, these pancakes are a breeze to make and require very few ingredients to make a delicious meal. 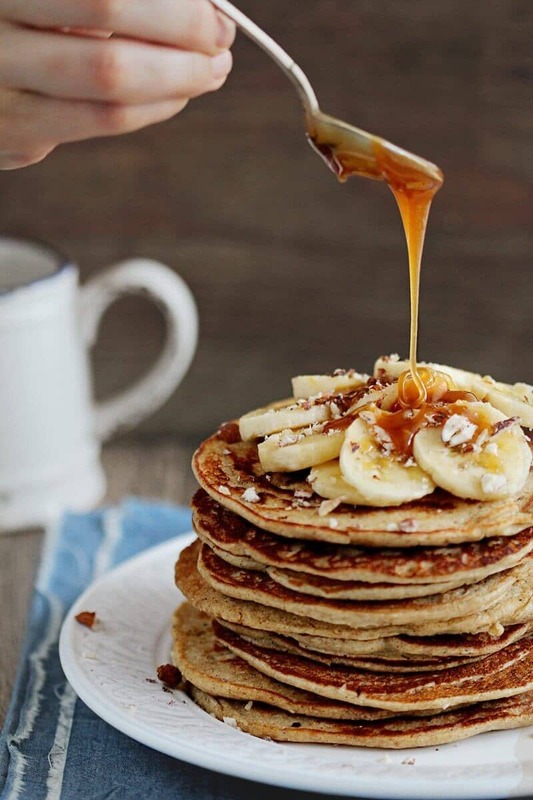 Though it is optional, topping these pancakes with shredded coconut, sliced banana, and a dollop of almond butter is an easy way to lock down a winning dish! Crepes are the equally delicious cousin of the pancake. Thinner, lighter, but just as flavorful and more generally more versatile when you turn them into stuffed-crepes (more on that later). That being said, if you’re going to make a list of the best pancake recipes, you’re gonna need to have a few crepe recipes on the list as well. It’s food law. These crepes are a perfect jumping off point for someone who has recently been dipping their toes into gluten-free food recipes. The final result of this step-by-step guide is a simple (but phenomenal) crepe that will work as your foundation for future crepe creativity! Accompanying gluten-free food on a rapidly spreading health movement is smoothies. There is little argument to be had about the benefits (and ease) of starting your day by tossing a handful of quality ingredients into the blender and drinking it down. Though there will always come a time when a sort of kitchen mad scientist steps in and turns everything we know about a trend on it’s head. Enter smoothie pancakes. Jamie oliver decided that some mornings, you might want your smoothie to be a little warmer, a little flatter, and (though hard to believe) a lot more delicious! Combining fruits with some flour in the blender and a hot skillet ends with the one of best pancake recipes that will ever start as a smoothie. Straying further away from the traditional (and frankly, boring) pancake is the butternut squash pancake. If you’re looking to go light on the carbohydrates and heavy on the flavor…look no further! When roasted and mashed, butternut squash takes on a wonderful custard-like consistency. Marrying that consistency with vanilla extract, almond flour and tease of spice is just what it takes for a bold bold, unique pancake to come alive! 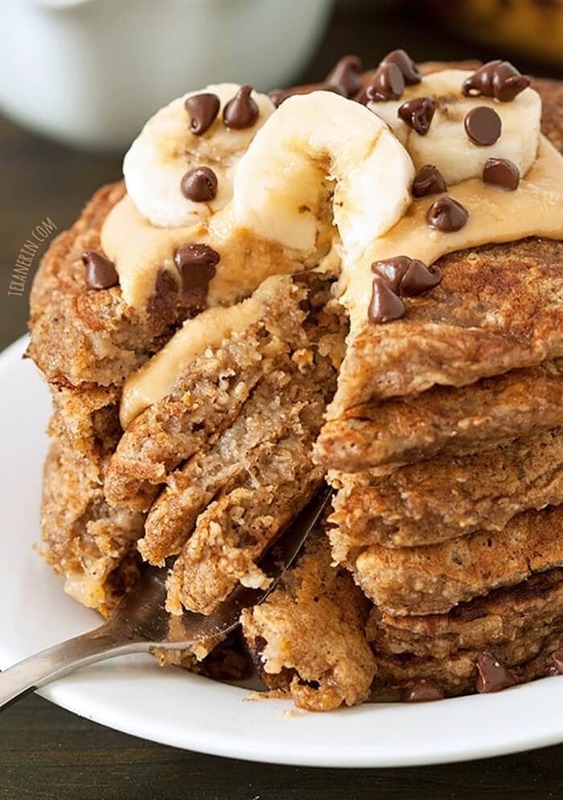 This is the kind of pancake that will put that “where have you been all my life” look on your face as you take each bite. If we know one thing about gluten-free foods, it’s that that they don’t always follow the rules. 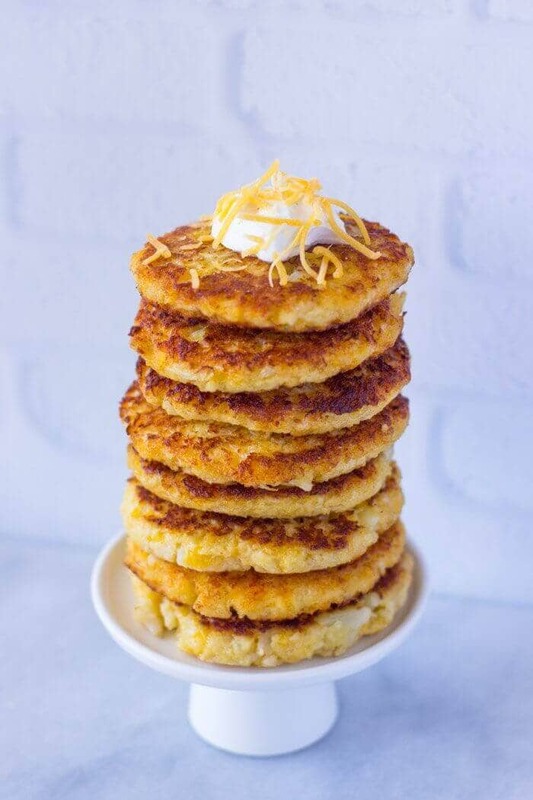 Case in point, these exceptionally savory cauliflower cheddar pancakes. Though far from traditional, these pancakes so full of flavor that you will have no problem expanding your definition of the word “pancake”. The recipe serves four, making it perfect for a light meal or an appetizer before the main course. There was no way this list could be considered complete without a stuffed crepe recipe. If a basic crepe recipe was provided earlier, it’s only right that an explosive power crepe hit the list as well. Crepes are beautifully unique in that they can be sweet or savory, however, for this recipe, sweet rules. These crepes are born in the blender and are as light and thin as can be. The filling is sensational but not overly sweet as it is intended to complement whatever berries you choose to top your crepes with. The recipe also provides valuable tips for crepe perfection that should not be overlooked. Great pancakes can come from a profound amount of creativity or simply sticking to the fundamentals. This recipe falls under the category of the former. The uncustomary addition of greek yogurt bring a hint of tartness to the already marvelously sweet pancakes. The recipe makes a single serving, so devouring this low-fat and low-calorie meal alone will bring you no guilt! 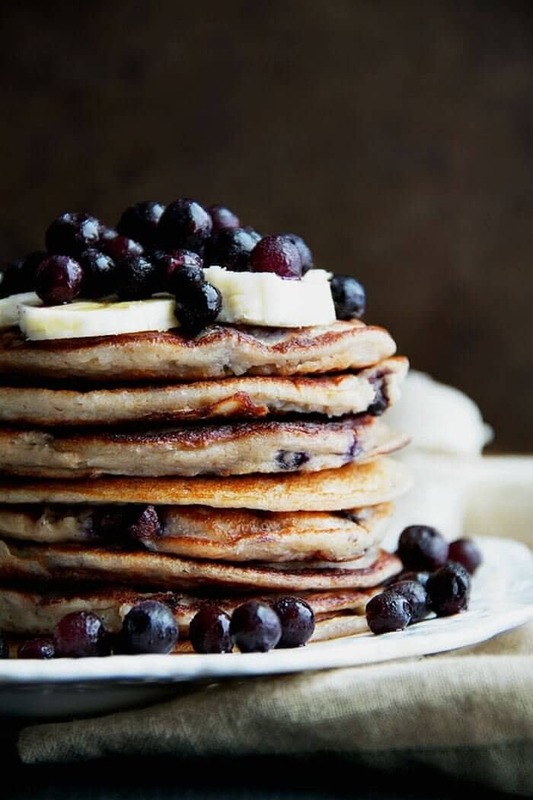 You’ll get about a seven pancake high stack, and if you top it with blueberries and banana you will find yourself in breakfast bliss. If the last recipe gets its kudos for going straying away from the traditional, then this recipe earns praise for the opposite reason. The two most crucial aspects of perfect gluten-free pancakes are their light and fluffy consistency. This recipe boasts this not only with its title, but by the near perfect pancakes seen in the photos. Rice flour is the primary ingredient, and is used in conjunction with tapioca starch and potato starch. Once finished, these light-as-air pancakes leave plenty of room for your own creativity to flourish! A dense, tasty, and low-carb pancake isn’t too much to ask for, is it? Of course not! 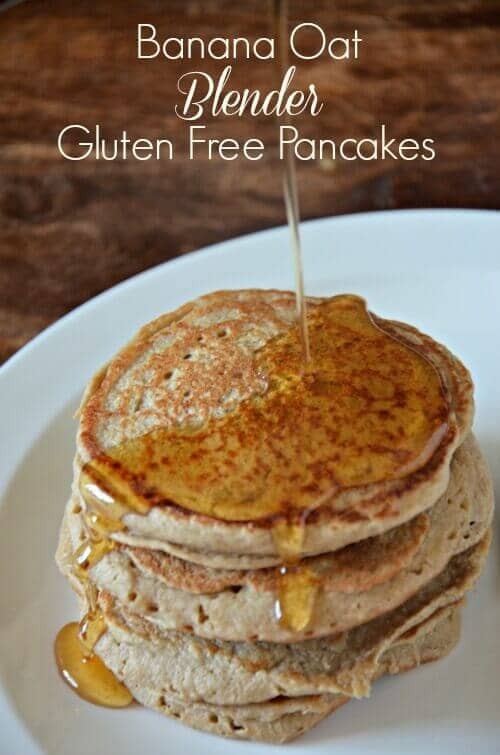 That’s why these wheat-free pancakes are next on the list. 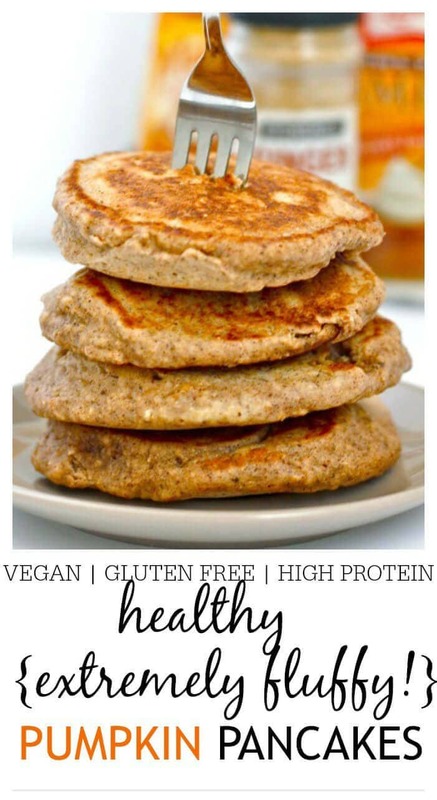 These pancakes call for almond meal and flax seed; a pairing that make a high-protein and high-fiber meal without being high in calories or carbohydrates. When finished, you will have 14 four inch pancakes for you and the family to enjoy. Due to being almost completely sugar-free, you can comfortably include whatever sweet toppings your heart desires! There are certain ingredients that are not always seen together, but almost beg to be combined to create something extra special. Take for example apples and oats. They are the quintessential autumn duo that hide in plain sight. 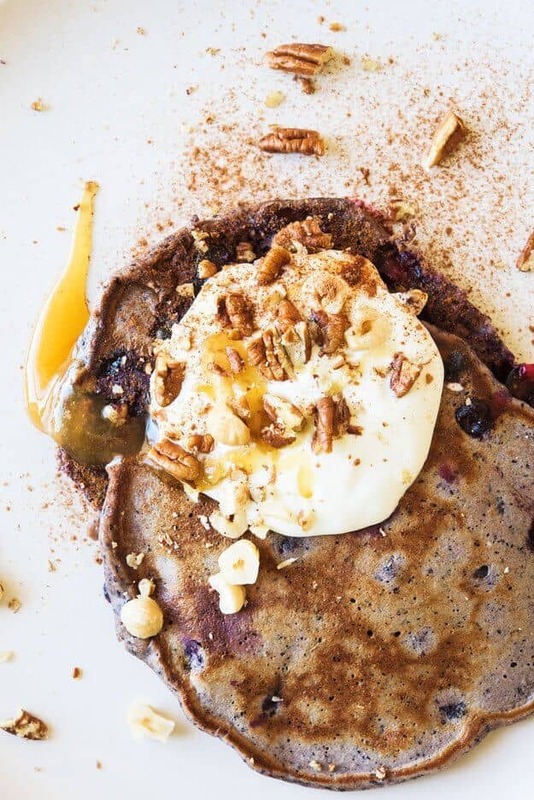 This gluten-free pancake recipe brings the two together for a dose of delicious fall magic. 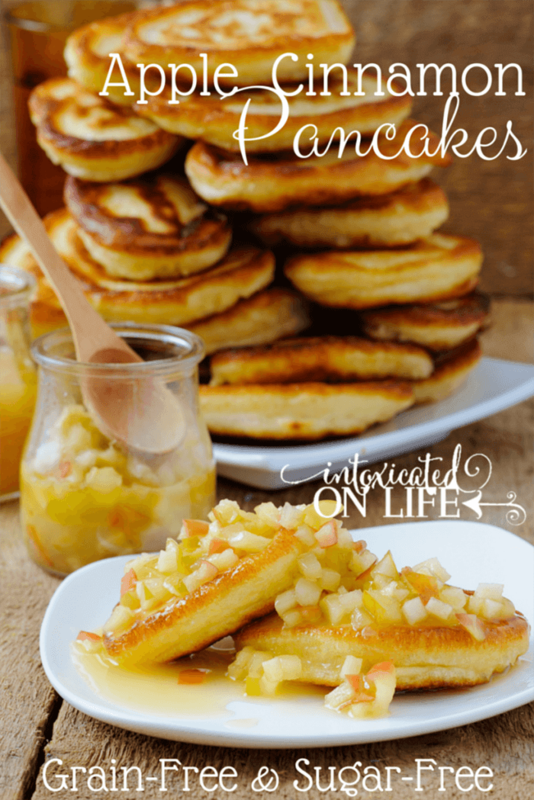 A stack of these pancakes alone is enough to bring your taste buds back to life; however, they are made complete with a sweet sauteed apple topping. A pancake like this does not come around all that often. If you want to show off your seasonal kitchen abilities this fall, make a batch of these sweet cakes! The seasonal theme continues with yet another fall staple. Equally renowned in the autumn months as apples are pumpkin-related foods. For about sixty days out of the year, it seems that there is no way to get enough pumpkin on your palate. 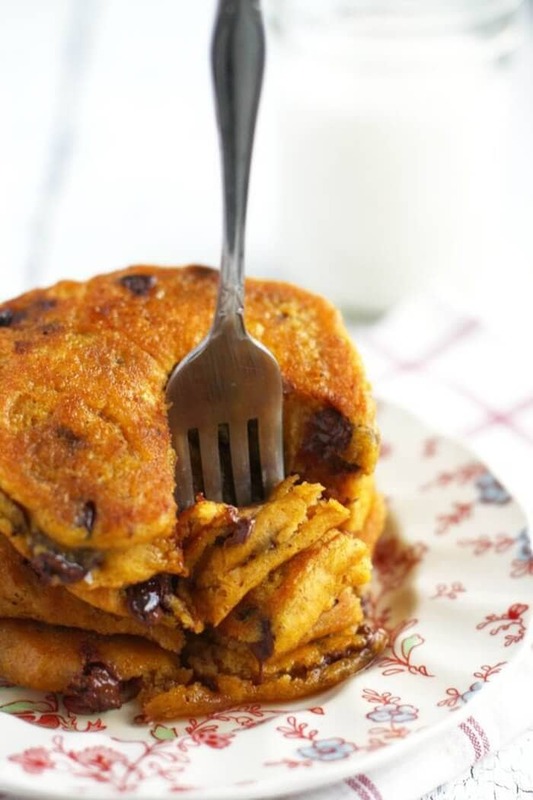 With any luck, these pumpkin chocolate chip pancakes will satisfy you cravings! On top of being gluten-free, they are also vegan; making them a fantastic go-to meal for the greater health-conscious community. These hotcakes are tickled with just the right amount of spice to make each bite as satisfying as the first. Moreover, the chocolate chips packed inside will make your sweet tooth sing! 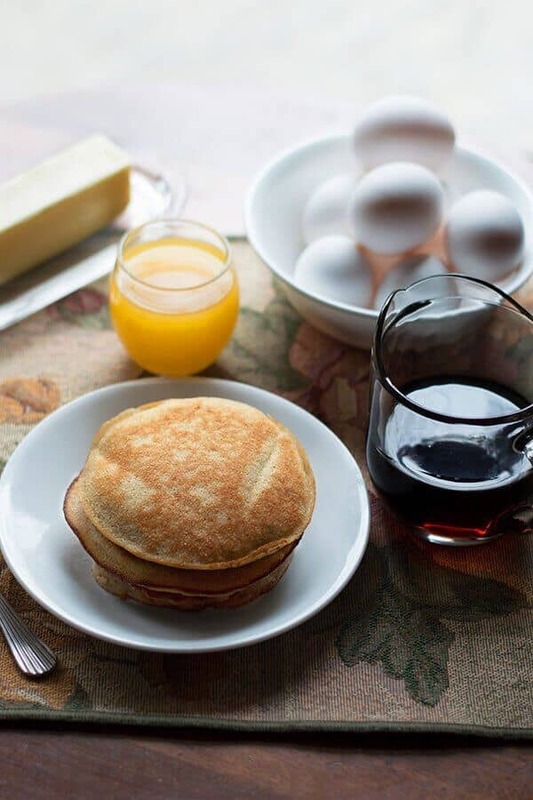 The perfect pancake can be declared without having to take a bite. Everyone knows what a pancake can look like and everyone knows what a pancake should look like. When you lay eyes on a pancake that has the appearance of the “truest form” of what a pancake should be, you know that it will not be a disappointment. It should be very clear, then, that these oat flour pancakes are of the highest caliber. The recipe takes care of the difficulty of creating the optimal pancake and leaves the fun to you. Top your golden stack with whatever fruit, drizzle, or crumble you want; with pancakes this good, you can’t go wrong. Another fall gem makes the list, and for good reason! Small tweaks make big differences; and this recipe is proof of that. 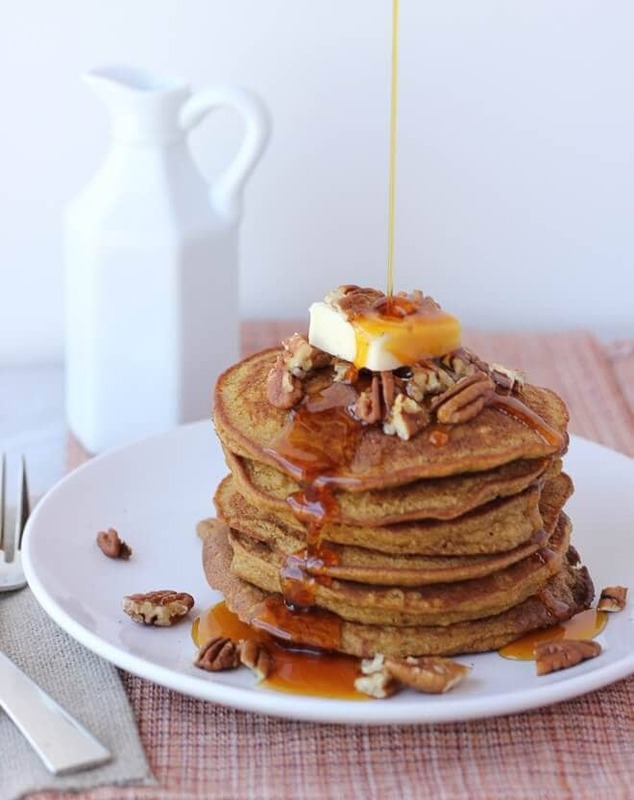 There are plenty of ways to make a delicious pumpkin pancake, and although it might seem like a bit of a clash, the use of coconut flour in this recipe is a small tweak that you will be extremely grateful you discovered. These dairy-free, gluten-free flapjacks are perfectly sweet thanks to the coconut flour and dose of maple syrup in the batter. Take it one step further by topping with some shredded coconut and fruit and you have a perfect pumpkin pancake! It is hard to find the best gluten-free pancake recipe that is not covered (or filled) with extreme amounts of sugar to compensate. Though sugar is hard to deny to your palate, it is far less desired in the rest of your body. That being said, there is a light at the end of this no-sugar-added tunnel. 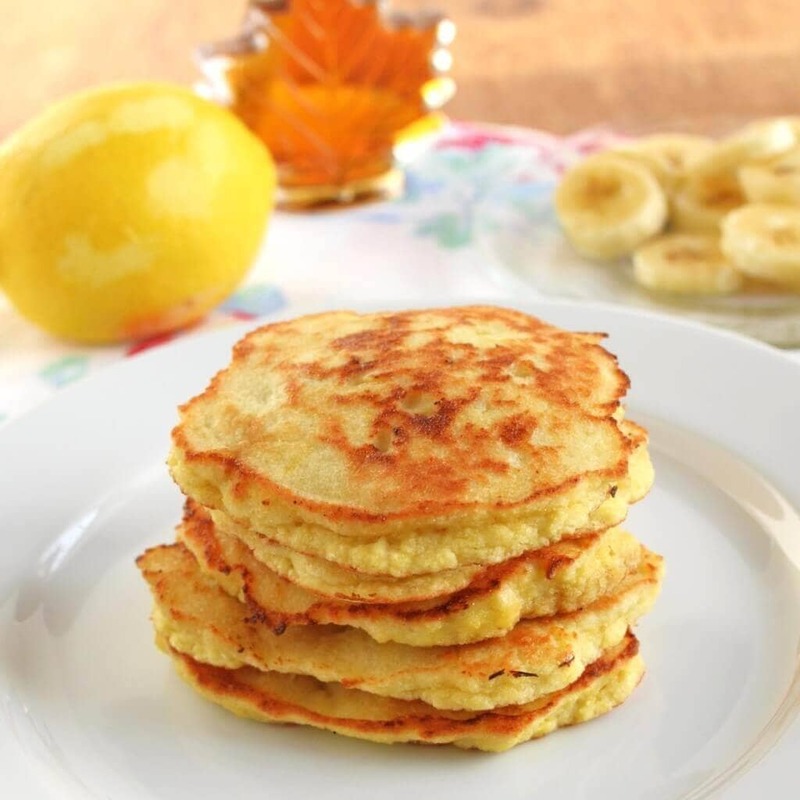 These banana pancakes are a bright shining light. 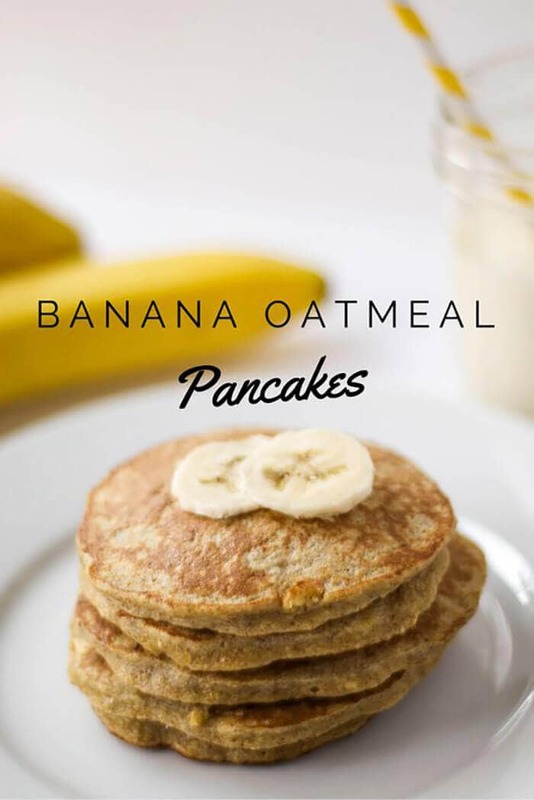 With little more than bananas, oat flour, and spices, you can be confident that these pancakes will not be a source of harm to you. Tossing some sliced fruit on top will be a perfect, natural finish for your stack. It is always satisfying to see a recipe that caters to more than one dietary requirement at a time. Not only does it make the meal more accessible to more people, but it also shows that a sensational dish can still be achieved with your proverbial hands tied behind your back. This recipe keeps it oh so natural, with no gluten or animal product in sight. 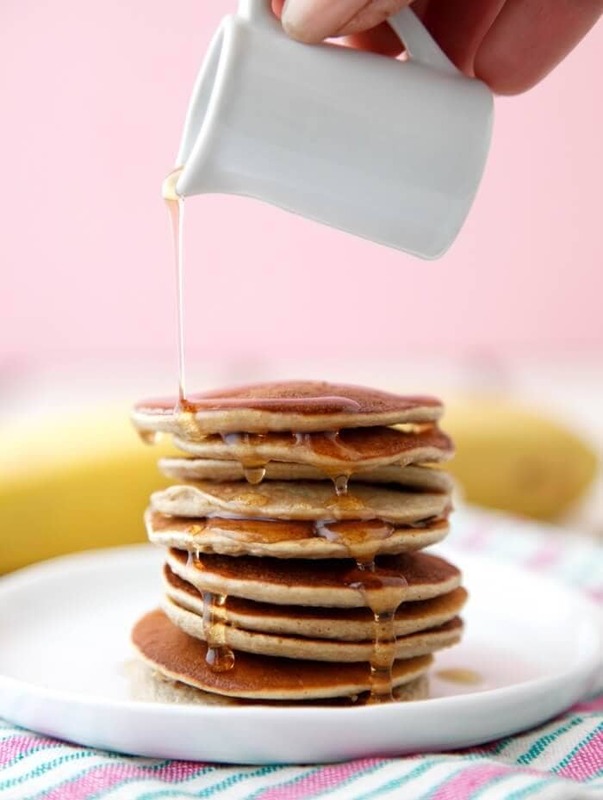 Utilizing ingredients like rice flour, oat flour and soy milk are what make these pancakes such a special treat. The result is a tremendous pancake without the usual unhealthy additions. Every gluten-free pancake recipe does not need to try to look or taste exactly like a regular buttermilk pancake. In fact, if your recipe is already going against the grain, why not embrace it? 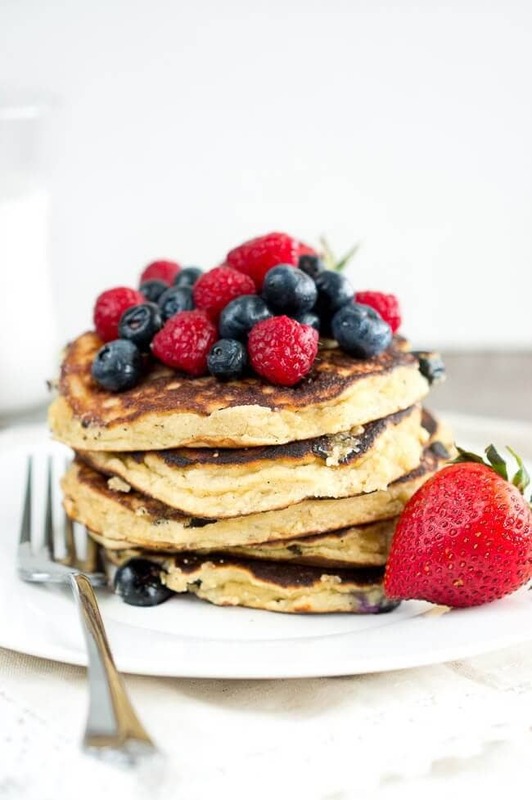 These amazing almond flour pancakes embrace it to the fullest extent! The recipe pulls no punches by divulging that you will be making a pancake that is nutty in both texture and in taste. However, this is in no way a negative. While different, these pancakes prove that different can be so delicious! 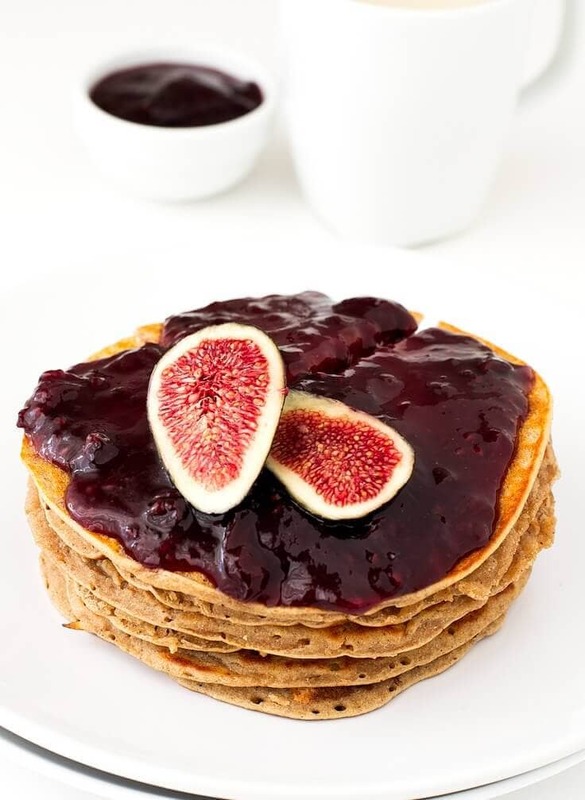 With a perfectly sweet pomegranate syrup topping, these pancakes will truly convince you that different is better! Sometimes you find an easy recipe, and other times you find the easy recipe! There’s something to be said about a delicious meal that only requires two ingredients. The amazing nature of a two-ingredient dish is two fold. Firstly, it’s a clear feat of the kitchen to create a meal with limited resources. Second, so few ingredients make a recipe that is inherently healthier than others. This is because there is no room for extra fillers that add flavor or texture at the cost of one’s well being. This recipe require only mashed sweet potato and eggs. 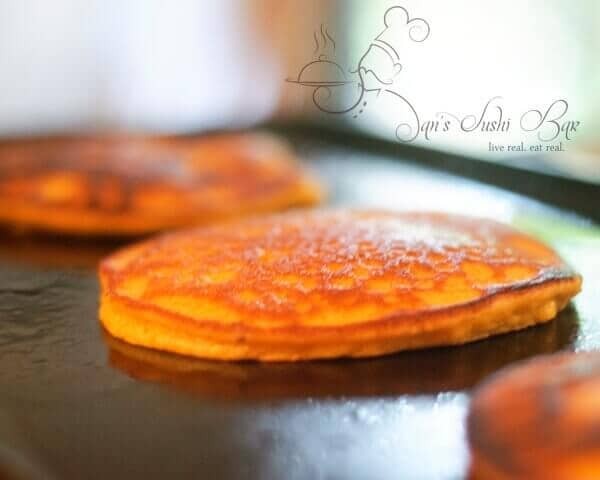 The pancakes that result are ready to eat plain or can become your own invention. Top with your favorite nut butter, honey, or whatever else sparks your creativity. Whole grain is an often overused (and misused) term in the health-food world. A true whole grain food is one that includes all of the original kernel. Whole grain rich diets are praised for numerous health improvements as well as disease prevention. Buckwheat is among the healthiest whole grains and is also protein dense. 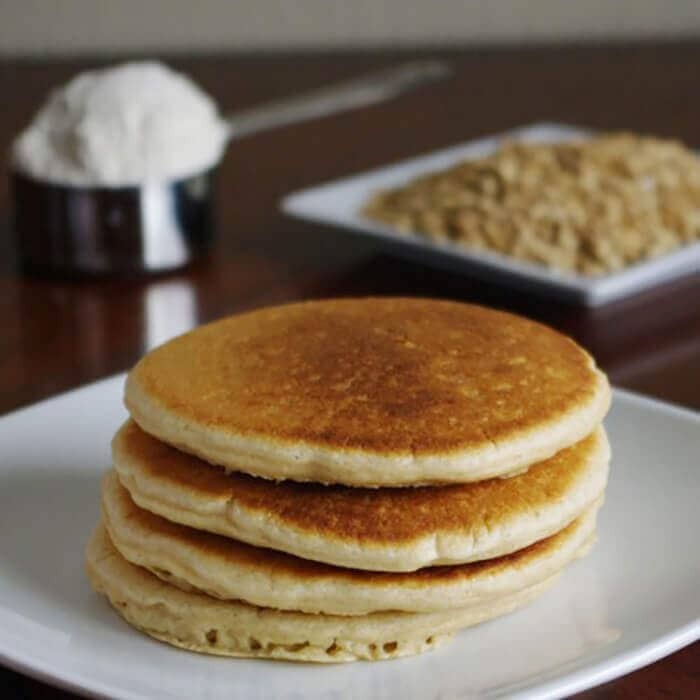 This is a super easy recipe and the is an excellent option for someone who wants to enjoy pancakes without paying the price. This recipe addresses some of the woes associated with attempting to make gluten-free pancakes. Poor texture and poor taste are the most common gripes about most gluten-free pancake recipes. This recipe tackles these issues and provides a light and fluffy pancake with it’s own natural sweetness. 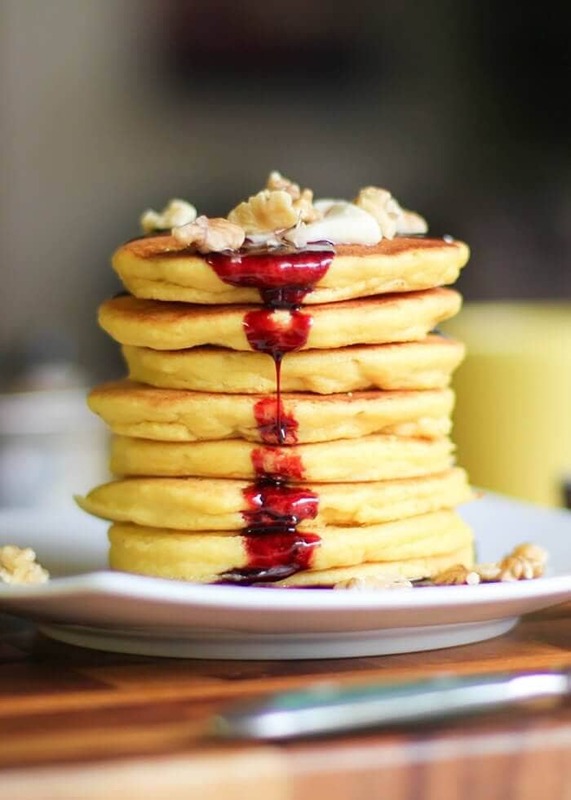 To make things even better, the sweet blueberry sauce topping is something out of a dream and really brings these pancakes to the next level! Sometimes we want breakfast for dinner and other times we want dessert for breakfast. 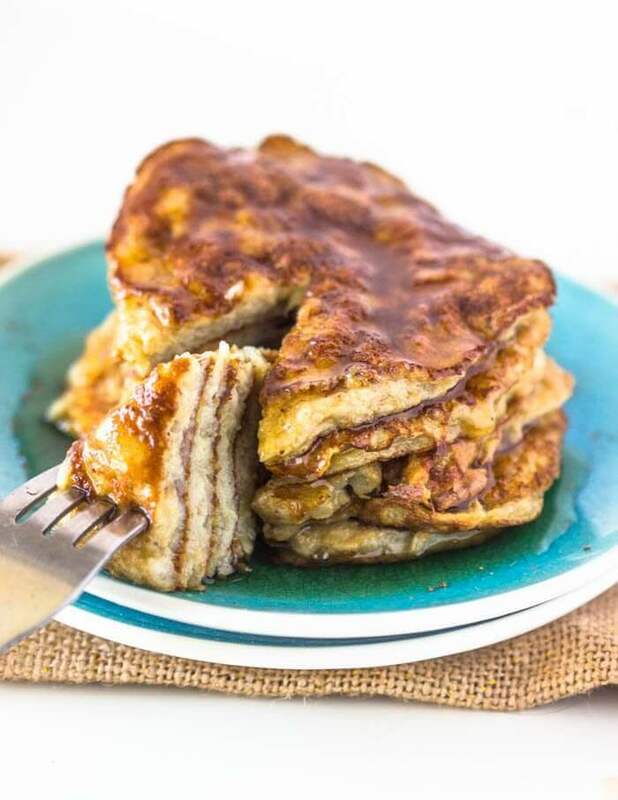 When you’re craving the latter, look no further than these superb cinnamon bun pancakes. Enjoying these pancakes alone would be more than enough to make your mouth water, but when you add the cream cheese frosting to the top, you may feel that your pancake life is complete! 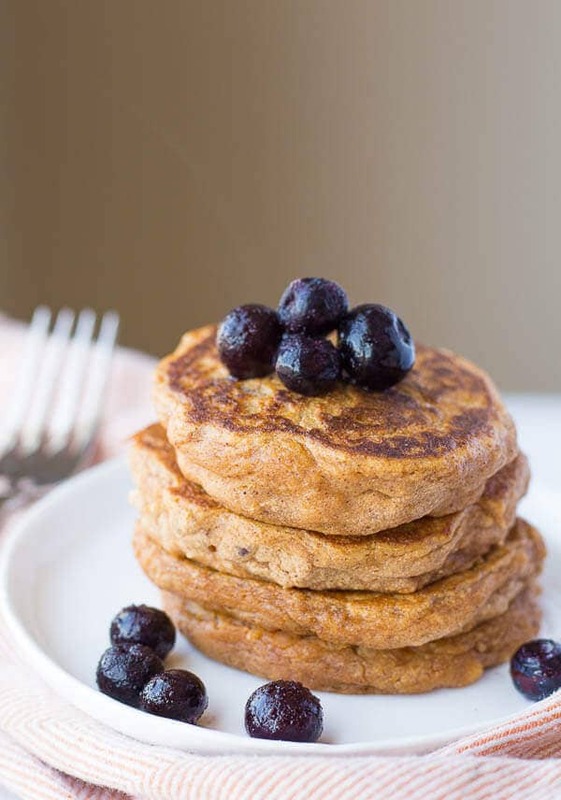 With coconut flour as a base and Saigon cinnamon as a subtle but important detail, these pancakes will make any gluten-free skeptics change their minds. Although these pancakes may have the appearance of waffles that forgot their indents, they could not be more different than their crispy breakfast cousins. 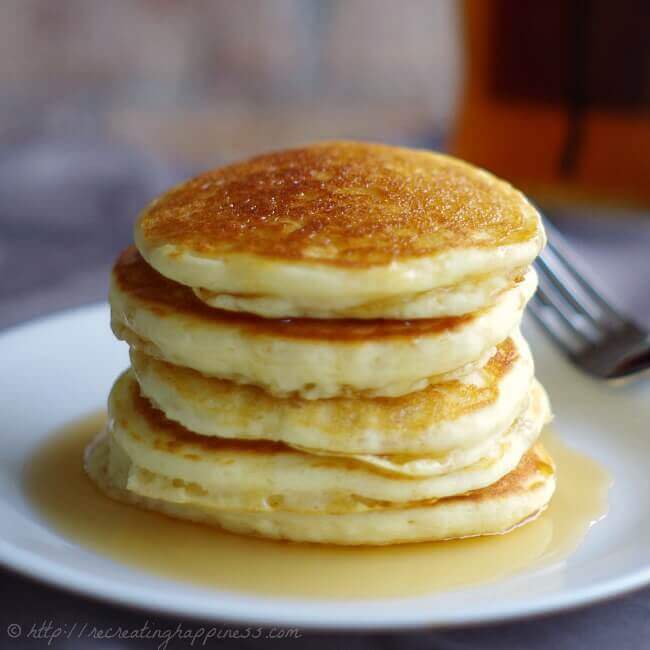 These buttermilk style pancakes are rivaled in fluffiness only by clouds and teddy bears. The recipe only has eight ingredients and is vegan on top of being gluten-free! The secret to their uniform circular shape is the use of a cookie cutter to form the batter. Such a simple idea makes a big difference when it comes to presentation. These sweet-cakes are simply amazing! Once you’ve cleaned your plate, you will surely throw out your traditional pancake mix once and for all! It wouldn’t have felt right if there wasn’t one more crepe recipe on the list. After all, crepes are just pancakes that like to cover the whole pan! 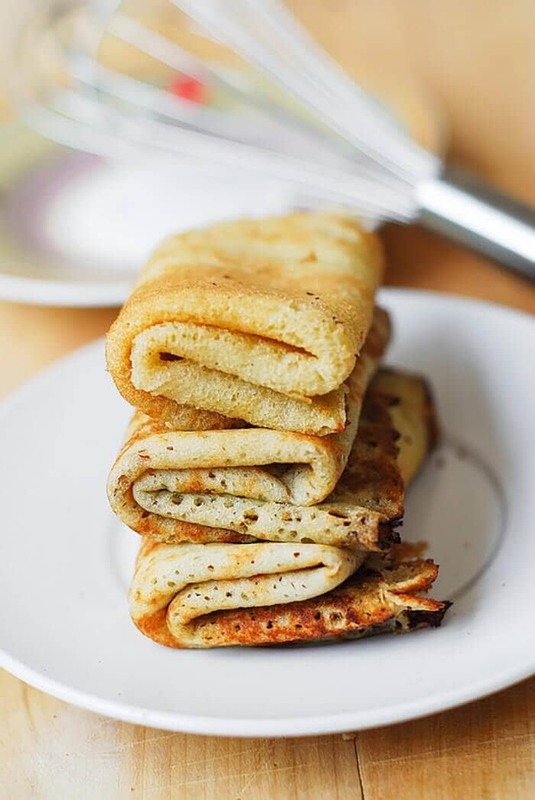 These sensational crepes make use of cassava flour, which is rich with health benefits. The recipe will yield 24 delectable crepes that will be nothing short of astounding to you and whoever you share them with. With your crepes completed, you will be in charge of the overall meal idea. 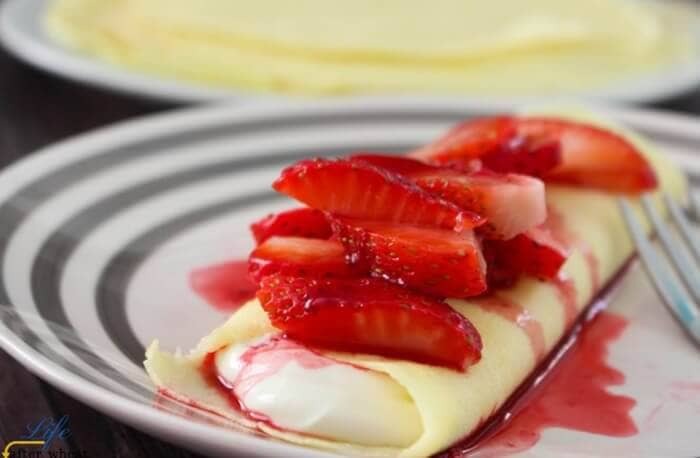 You can make sweet, jelly and cream filled breakfast crepes, or load them up with spinach and hollandaise sauce for a savory lunch or dinner! There are few things that are more discouraging in the world of cooking than when someone refuses something you’ve made due to their nutritional requirements. This is not a knock on calorie or macro-nutrient specific diets; rather, it is a disappointment from the inability to provide a tasty treat to someone with those needs. 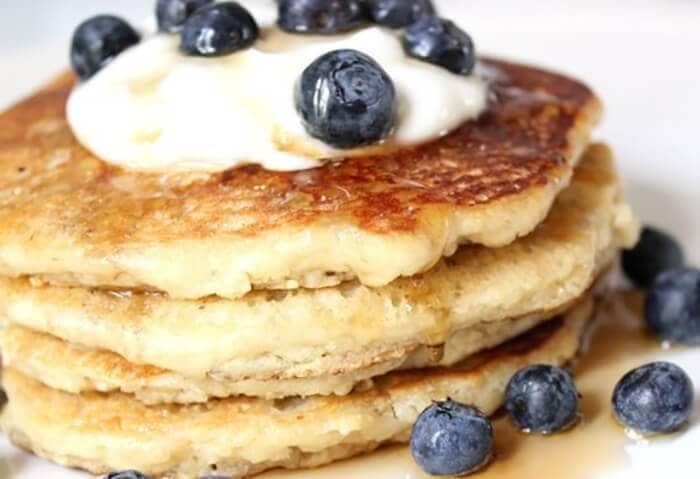 Thankfully, there are recipes like this one to bridge the nutritional gap between low-carb eaters and delicious gluten-free pancakes. These decadent pancakes take only 10 minutes to make and will be praised by even your most health-conscious friends and family. 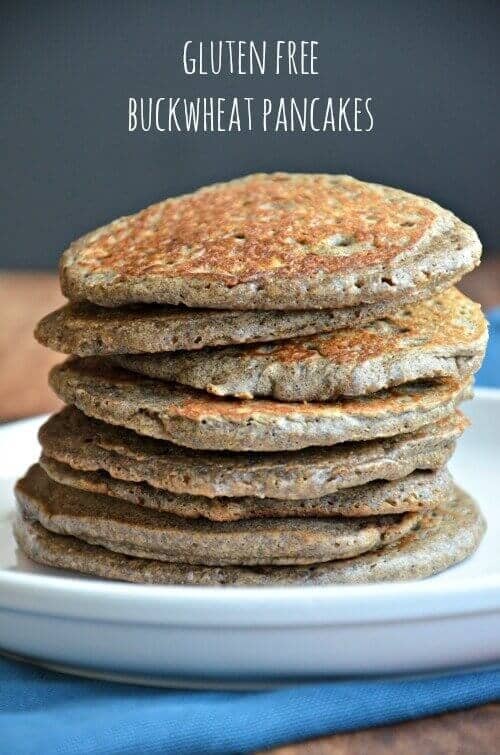 Another fantastic buckwheat pancake recipe makes the list. In this version, the nutty buckwheat flavor is met with sweet banana love. These two together make for a brilliantly light and tasty pancake that is packed with nutrients! Unlike most pancakes, these will not leave you feeling stuffed to debilitation. Instead, a serving should send your taste buds on a vacation while also bringing you all of the wonderful benefits from the nutrient-rich ingredients! 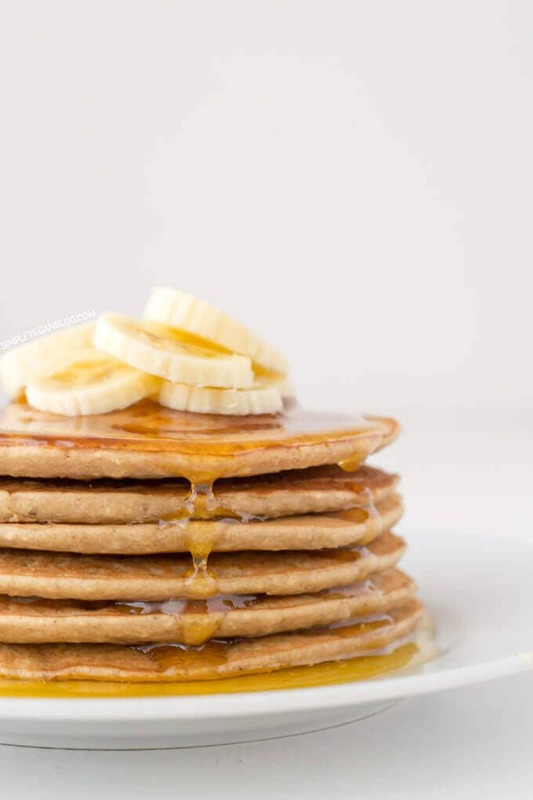 Top the stack with sliced banana (or any fruit for that matter), toasted almonds and raw honey for one of the best gluten-free pancakes you will experience. One look at these pancakes and you can tell that the term “extra fluffy” is no exaggeration. Each cake has a thickness that is generally difficult to achieve by most gluten-free pancake recipes. They are not only perfect for someone one a gluten-free diet, but can also be enjoyed by those who stay away from dairy and even vegans (with tested alterations)! The extra fluff can be attributed to the addition of your favorite mashed starch (recipe mentions pumpkin, applesauce and sweet potato) to go with the coconut flour. You’re left with a phenomenal, airy pancake that won’t require you to loosen your belt. We have next another gluten-free pancake recipe that brings the fundamentals of pancakes to life. The best part about a recipe like this is the fact that you are not tied to the strict parameters of a complex recipe. Instead, the guide to the foundation is provided and you are responsible for the rest of the pancake idea. Keep it simple with syrup and butter on top, or load the batter with chocolate chips and shredded coconut. Regardless of your choice, you’ll be working with an exceptional pancake with this recipe. When you want to shy away from what you already know and try something exciting, you can sometimes find yourself clinging to the proven formulas. That’s where recipes like this one come in handy. It tosses out everything we were tied to and provides a delicious pancake that will not make you nervous when your guests try it. The batter consists of gluten-free flour and mashed sweet potato for a rich, buttery consistency. However, the real awe of this particular recipe is the mind-blowing peanut butter maple syrup that goes on top. 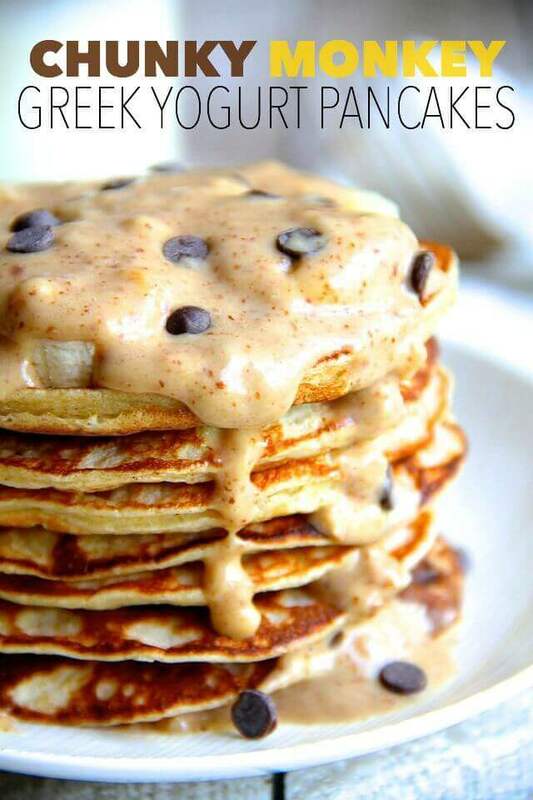 No one with working taste buds will regret eating these pancakes! Food allergies are a major hindrance for people all over the world. Not only due to the limitations on what can be consumed, but also the underlying risk of serious illness (or death) from eating the wrong foods. A gluten-free diet is all that is required for many people; but for others, gluten-free food is only part of the solution. Recipes like this bring a positive outlook to the world of food allergies. It proves that a phenomenal, golden pancake can come from a recipe that is conscious of many dietary needs. The best part about this recipe is that it does not sacrifice flavor! 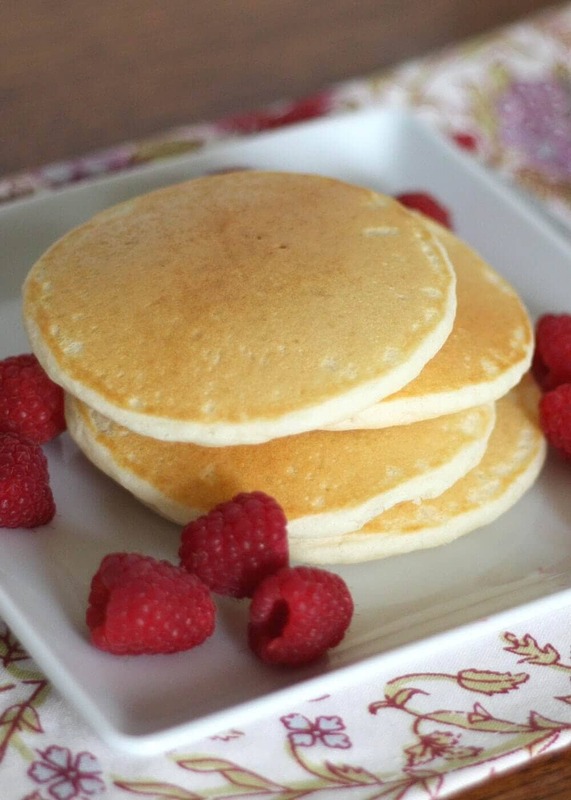 One final slice of fall heaven makes the list with this outstanding gluten-free pancake recipe. This recipe combines many of the praised ingredients from items on this list for one of the best pancake recipes you will find. Along with the much needed pumpkin, the recipe also includes buckwheat, rolled oats, and even applesauce. Top with maple syrup and your favorite nuts or berries. Even the pickiest of eaters will relish in this fall delicacy! With all of the fall favorites on this list, it’s only right to add a little sunny weather love into the mix. Lemon seems to represent refreshing and fresh in almost everything it is a part of. Be it a wedge of lemon in your iced tea, a lemon meringue pie, or of course, lemon pancakes. This recipe brings together the perfect zest of lemon with the texture of poppy seeds. The pancakes also stay low on the calorie and carb scale so guilt will not come after enjoying your serving. When time is of the essence, a simple, easy recipe is of high value. While many gluten-free pancake recipes take a decent chunk of time to prep and cook, these little gems are ready to eat 15 minutes after you step into the kitchen. With just eggs, oats, banana and cinnamon required, you have a perfect option for a fast meal idea when you’re on the move. 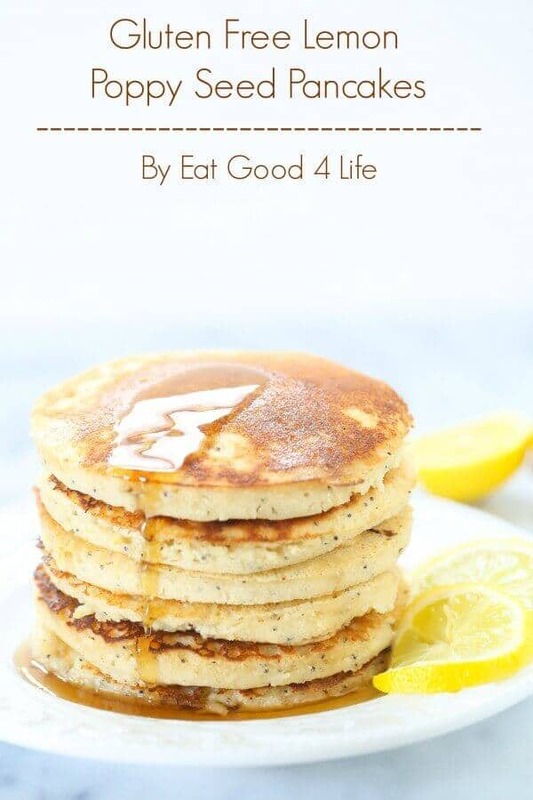 What makes these pancakes even better is that they are low in calories, carbs, and fat; saving you time and inches to your waste! One glance at this gluten-free recipe and you’ll likely notice two things. First, the perfectly shaped golden pancake medallions. Second, the fact that they take only 10 minutes to make! The recipe keeps things simple with basic, easy to access ingredients. The fluffy little hotcakes that come out of this easy recipe are perfect for a quick breakfast or as side at brunch. Let your creativity loose with these! There’s no limit to your toppings or fillers! No matter how or when you choose to enjoy them, they will certainly not disappoint! No, you’re not looking at a doughnut covered with an apple chunk glaze. You’re looking at a mouth watering, health conscious pancake that is born out of a gluten-free recipe! While it may be hard to believe something like this is possible, it gets even better. On top of being a gluten-free food, it is also sugar free! Stevia to the rescue in the case of these ridiculously tasty (and fluffy) pancakes. Whip these up and wow your guests! It’s that simple! This list has provided a plethora of recipes for people who stick to a gluten-free diet. Additionally, there have been a number of recipes on the list that address other dietary concerns aside from gluten. Everything from low-carb pancakes, to dairy-free, to full fledged vegan has been covered in some capacity. However, this is the first pancake idea that is free of oil. Out of the ordinary, perhaps; but are you surprised? What’s more, this recipe is also vegan! Making it an obvious win in any health food breakfast book! Carrot cake, like so many foods, is either loved or hated. 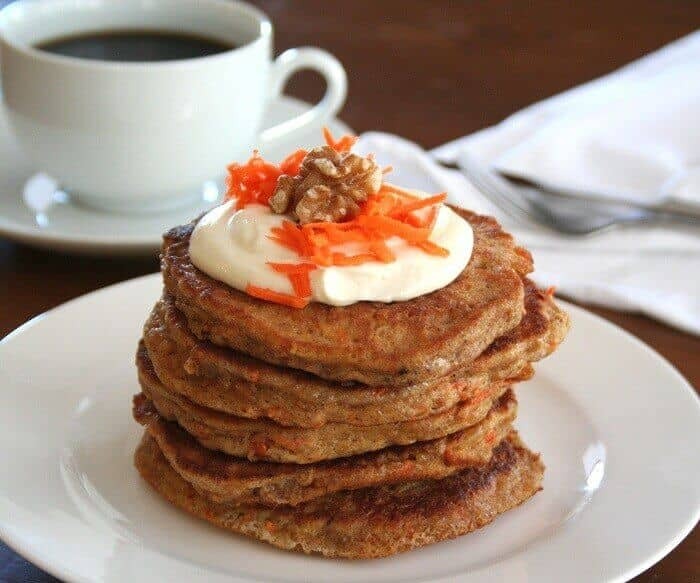 I happen to love it and that’s why carrot cake pancakes made the list. These delicious pancakes are topped with a magnificent cream cheese frosting, truly putting the word “cake” in pancake! That being said, each serving contains only 13.8 grams of carbs! So though you may feel like you are doing yourself wrong, in reality, you’re not. This may just be one of the best pancake recipes that you never expected to see! We’ve covered a great number of flour alternatives on this list. They’ve proven to be more than up to the task of making great pancakes come alive. So what happens if we use four of those flours together to make a gluten-free pancake mix? What happens is an outstanding, versatile mix that you can make in bulk and use whenever you want! 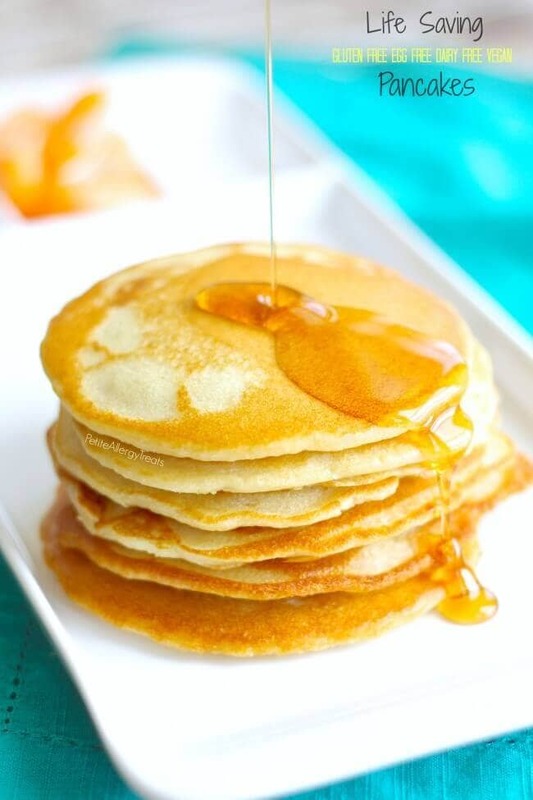 This recipe includes white rice flour, brown rice flour, oat flour and buckwheat flour (along with a number of other dry ingredients) for a high-quality mix that can be used in any gluten-free pancake recipe. Along with the mix is the complete recipe for the pancakes themselves. The end result is a stack of excellent miniature pancakes. 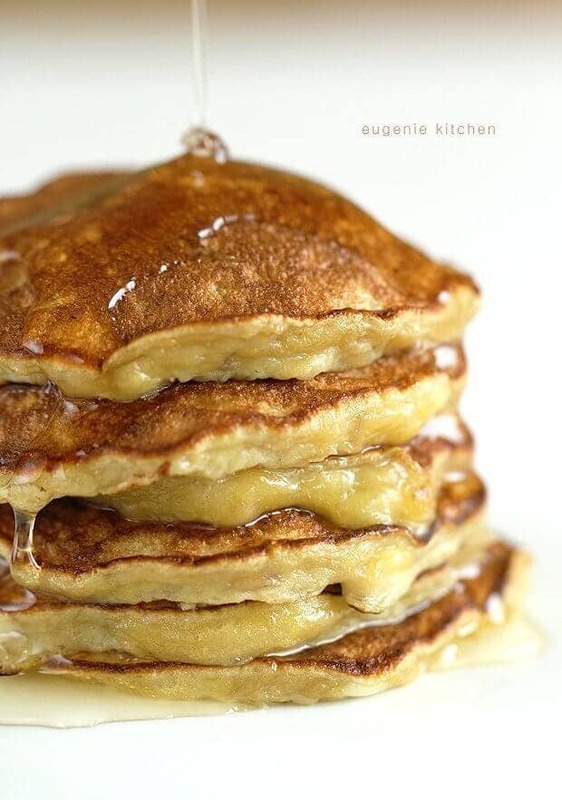 Last (but far from least) up on list is a final banana pancake recipe. The draw of these recipes is their ease and omission of unhealthy ingredients. While this recipe is similar to some of the others with minimal ingredients, one thing that makes it stand out is it’s quantity. This recipe will give you 18 pancakes, so next time you’ve got a big group over for breakfast, this will be a perfect meal idea to satisfy hunger without upsetting your budget. It’s quick, easy, and ready for customization! If there is anything to be learned from this list, it’s that limitations only exist to promote creativity. With any luck, any of your preconceived notions about what a gluten-free recipe can bring to the table have been dispelled. The recipes provided have covered a spectrum of meal ideas; from super-sweet breakfast options, to savory snacks and dinners. It’s clear that gluten-free food is a side note with this list; these are some of the best pancake recipes, period!